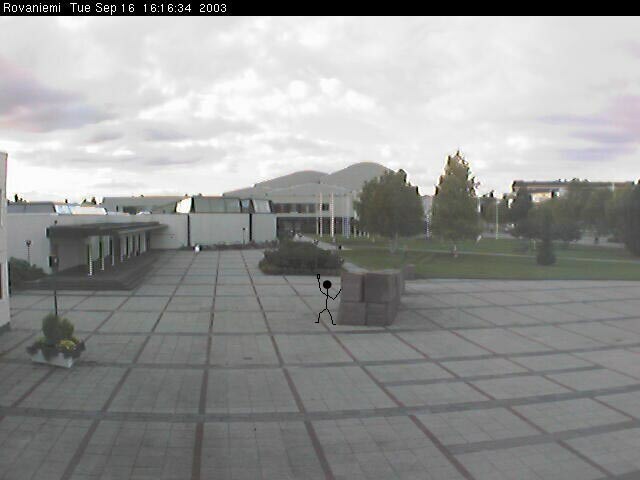 This is a webcam cache in Rovaniemi. Given coordinates lead you to a place where the camera is pointed at. From there you can see some stone art and remarkable buildings designed by Alvar Aalto, for example the library of Rovaniemi. Hold your hand up or do something else that you will be recognized as a geocacher and not just as a bypasser. Please note that the webcam updates the picture every 30 seconds. When you log this cache as a find, please attach the picture at the log.